Kathy Brown took the stage next to talk about how to recover from penalties or algorithm updates affecting a site. Penguin is an algorithmic detection, so you likely won't have any messages in Webmaster Tools or manual actions listed. So the traffic drop will be the biggest indicator cross-referenced to algorithmic updates. Next step is to remove any problem links and then be patient as it's not an instantaneous recovery. Requesting a reconsideration is not going to help in these cases. The algorithm has to detect that the links you have removed are gone. For manual link actions, you have site-wide and partial penalties. Look at the announcements in Webmaster Tools to see what action was taken and what the reason is for the penalty. Identifying links can be daunting. So be sure you look at every domain in your link profile, but don't worry about examining each and every link if you have thousands coming from the same domain. Instead, choose a sample and determine if the links coming from the domain are good or bad overall. Categorize the links for efficiency after identifying them, Brown said. You can group them together in categories such as "blogs," "links from the same 'C' block," "links from comments," etc. You can divvy up the work between team members this way. 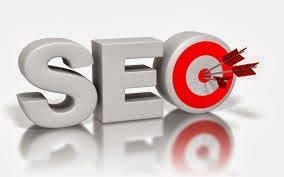 Build a list of links using tools like Open Site Explorer, Google Webmaster Tools, Bing Webmaster Tools and so on. Categorize the links as previously mentioned. Examine the links and determine if they are good or bad. Get contact info through social, email, or snail mail. Be polite when you contact the webmaster. Don't blame them, but be persistent. After you've done all you can and if you've had no luck, you can try the Google Disavow Tool to disavow the links. If you have had luck in cleaning up your links, you can submit a reconsideration request at that time. When submitting a reconsideration request, you need thorough documentation to show the reviewer at Google that you've done all you can to clean up your site. Stick to the facts and tell the story. Explain how it happened, how you cleaned it up, and that it won't happen again. At the same time you are cleaning up links, you should be building great links through quality content. This is how you can ultimately pull through those penalties.